Felix Bush (Robert Duvall), the “Hermit of Caleb County,” is a man so haunted by his secrets that he has lived in quiet desolation in the Tennessee backwoods for over 40 years. Realizing that he is near his own mortality, Bush decides to have a “living funeral party,” inviting people to tell their stories about him. Enlisting the help of Frank Quinn (Bill Murray) and Buddy Robinson (Lucas Black), Bush goes through a process of self-discovery, allowing him to deal with his past secrets, including ones involving old flame (and new widow) Mattie (Sissy Spacek). 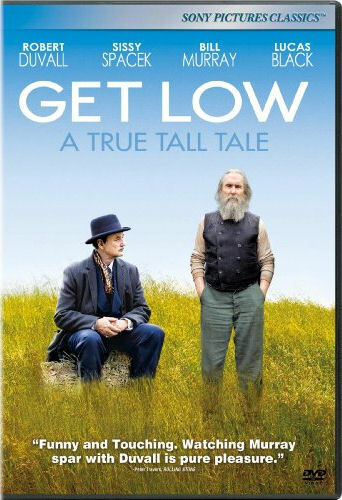 Get Low is out on DVD today, February 22, 2010.